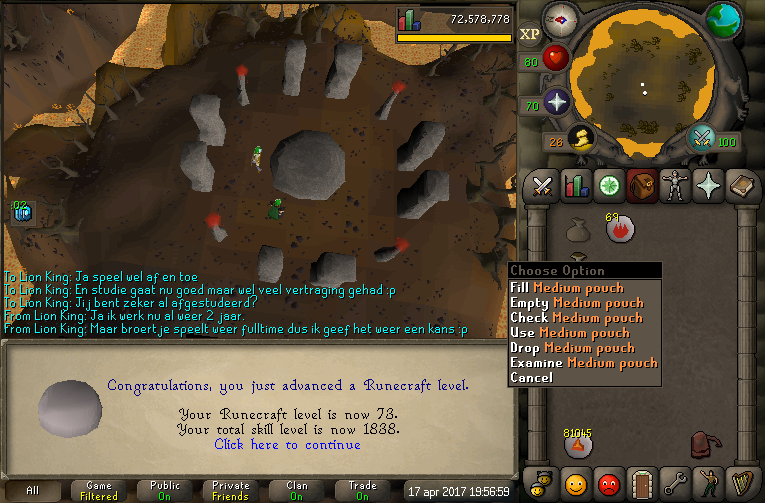 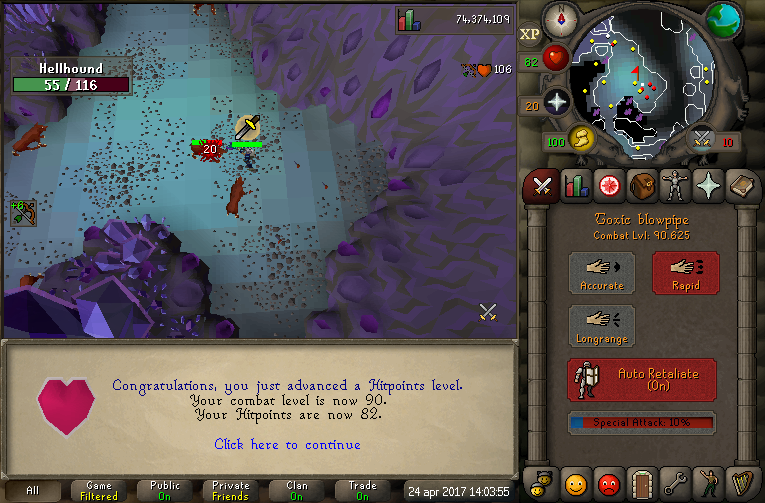 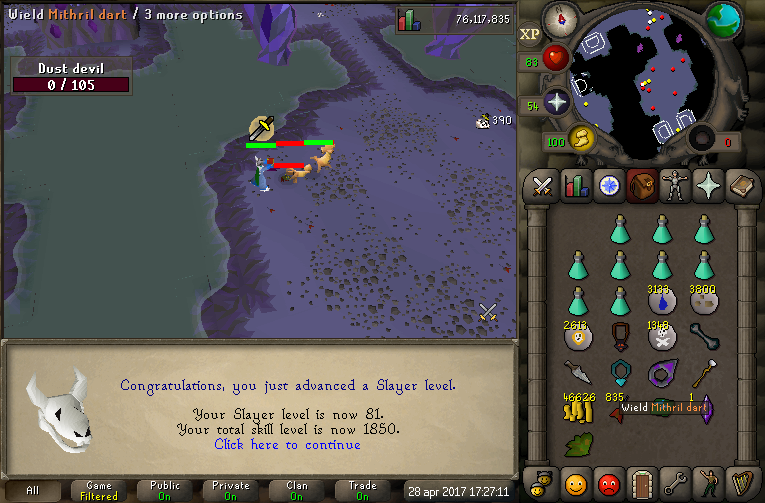 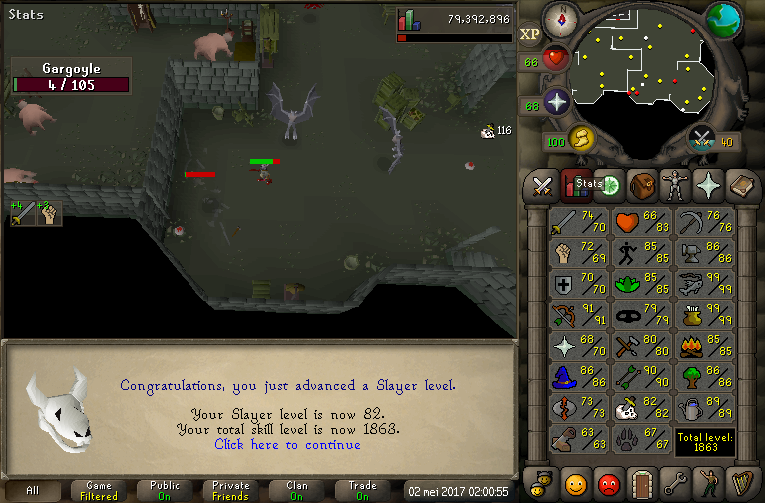 Last week was full of Slayer, done with Ranged solely and completed Morytania Elite! 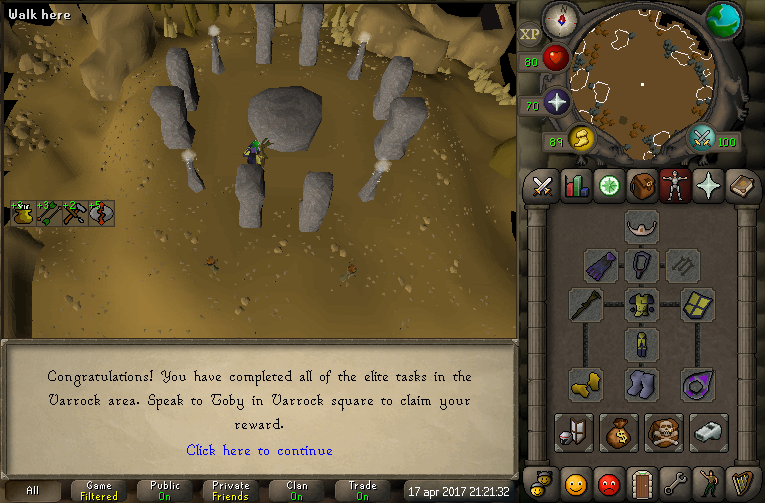 If getting KQ task takes too long I'll probably be working on Mining at Blast Mine to get some money as well and work towards Wilderness Elite. 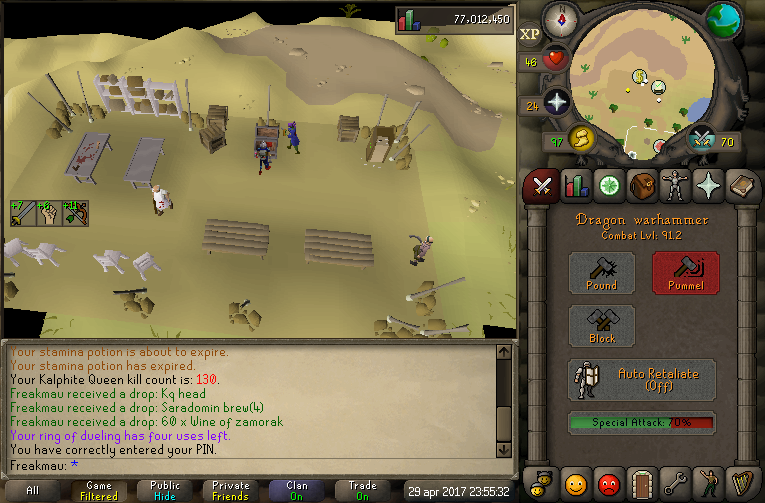 Keep it going with the diaries! 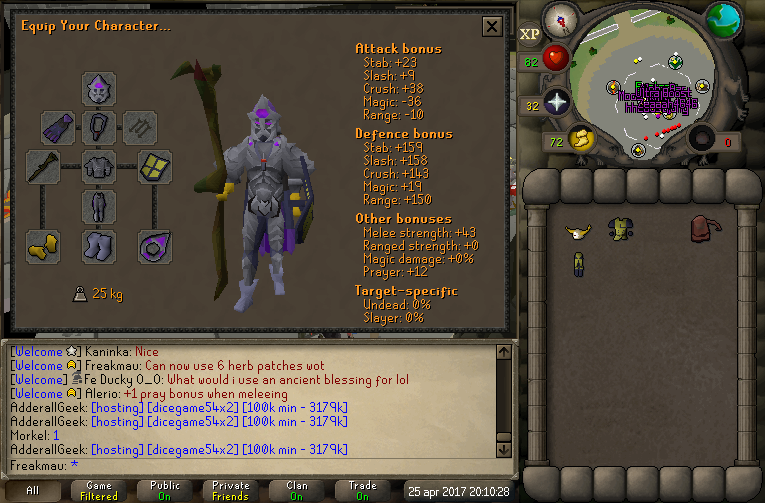 Some nice gains! 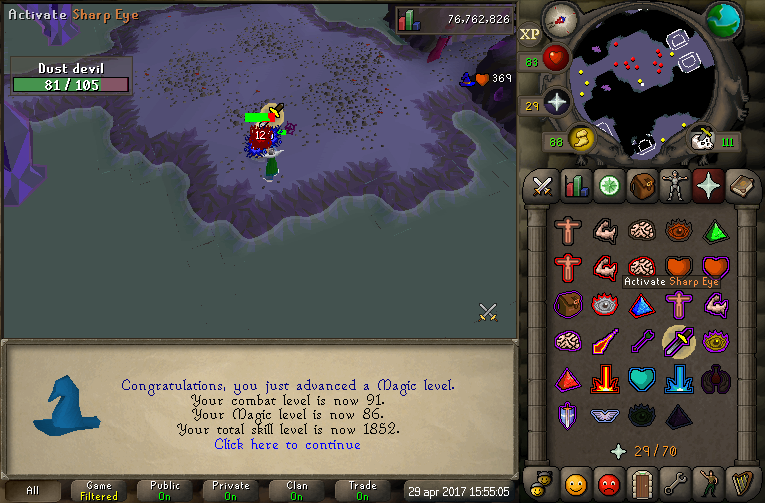 GL on getting that KQ head! 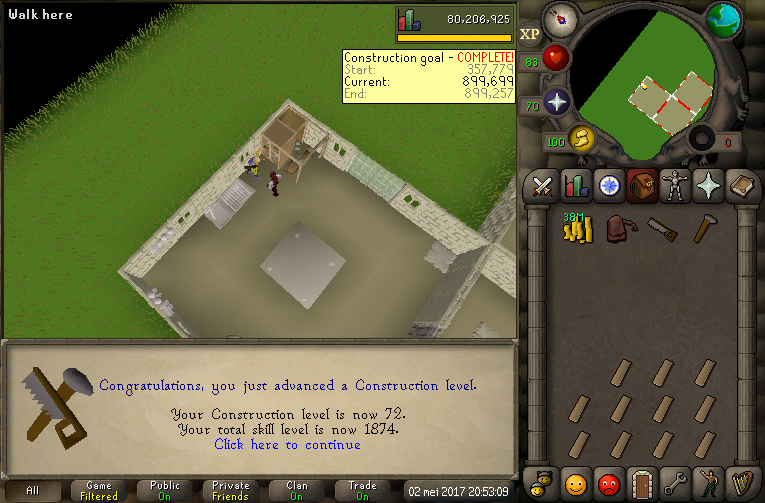 I will now focus on the skills for desert diary so I will do some construction, fletching, thieving and prayer. 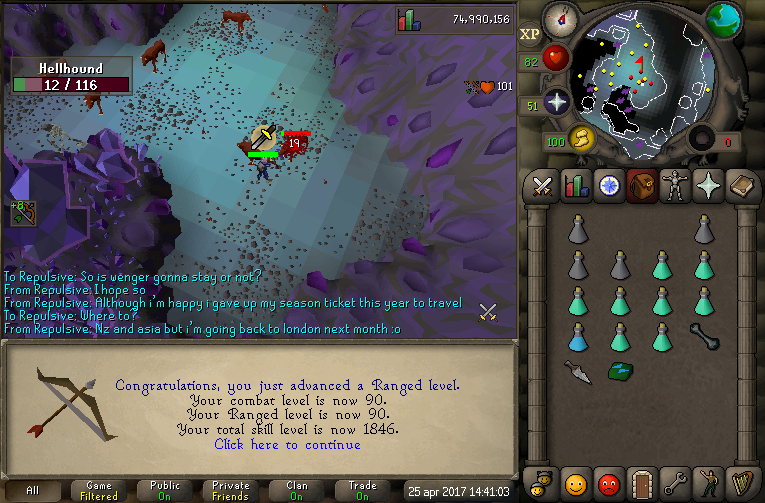 Bit unlucky on the head, not too bad tho! 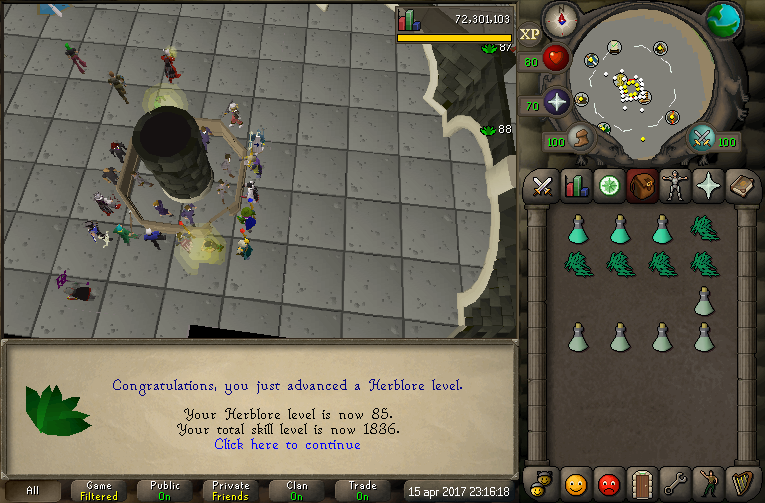 GL! 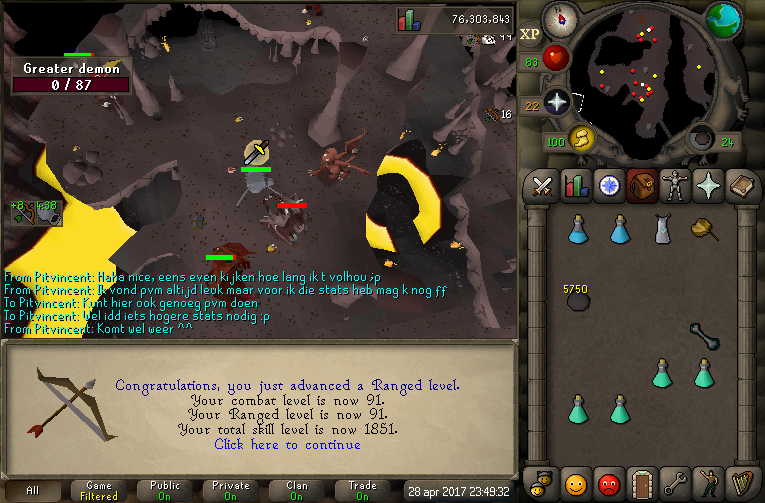 Strength 70 was so I might be able to attend the bandos mass event next Saturday and also as a requirement for Fremmenik Diary. 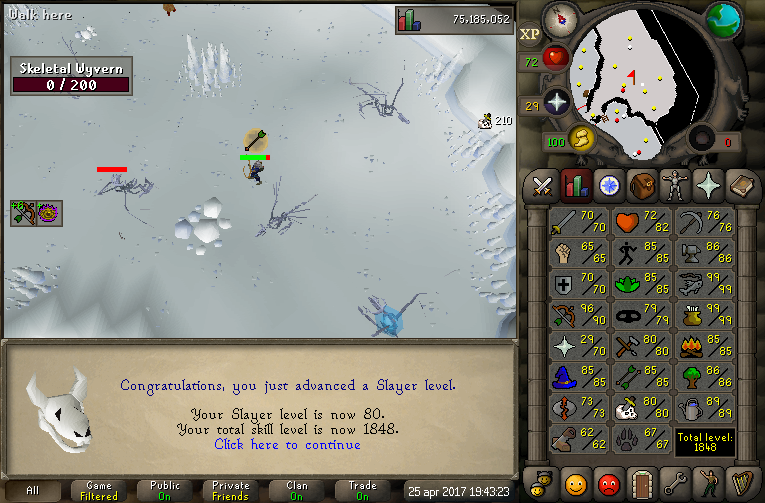 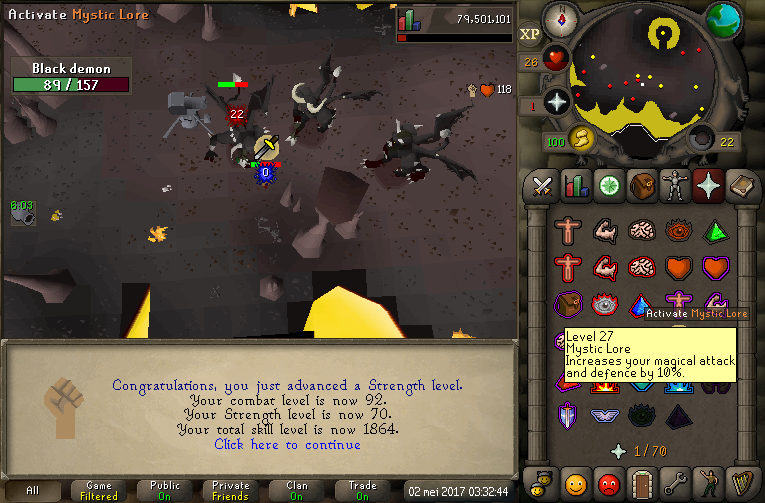 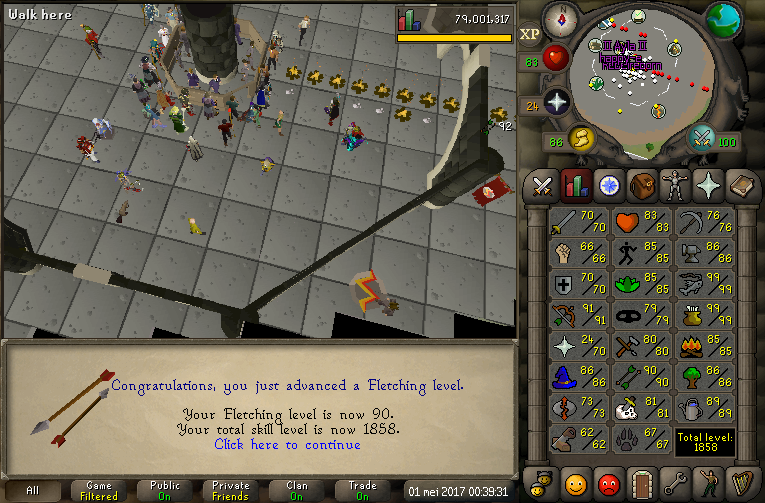 Now I'm also back to being melee based with currently 92 combat. 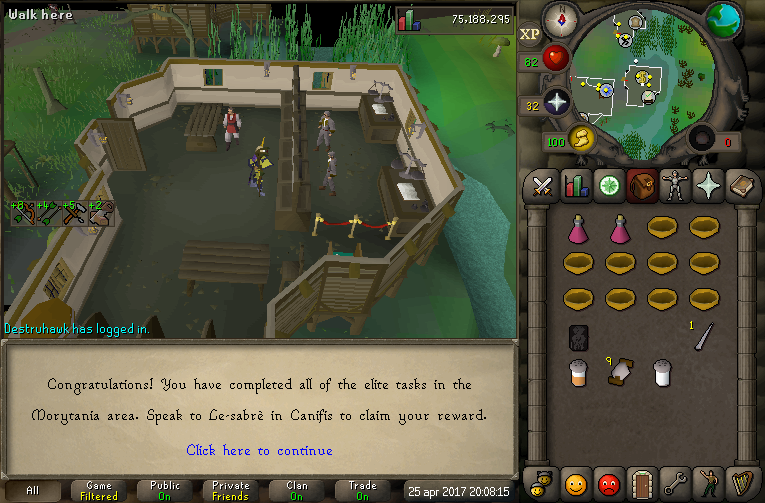 Right now I'm working on prayer and thieving, but I want to wait with thieving cause I want to get full rogue but they might change it so you can't get duplicate items which would save a lot of time.